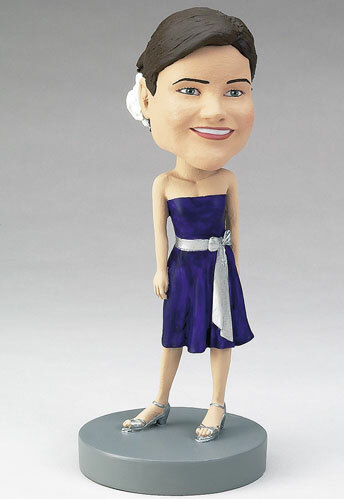 Personalized Bridesmaid Gifts - Bobble head dolls! Are you looking for a unique wedding gift to give your bridesmaids? Think about getting them custom bobbleheads! (Buying more than three gets you a discount!) You can change the dress color or ask in the special instructions to make it look like the dresses they will be wearing at the ceremony. Accessorize and personalize the custom dolls to suit your wedding party and the theme of your celebrations!